The Auckland Folk Festival is New Zealand's largest folk music and dance festival. Come and celebrate the 46th annual festival at the Kumeu Showgrounds on Auckland Anniversary Weekend. With international guest artists, musicians from around New Zealand and six stages there is something for everyone! A full dance programme is complemented by music from early until late, a kids stage and jams that go well into the night. The Recorded Music Tui for Best Folk Artist is presented on Sunday, alongside performances from the finalists. 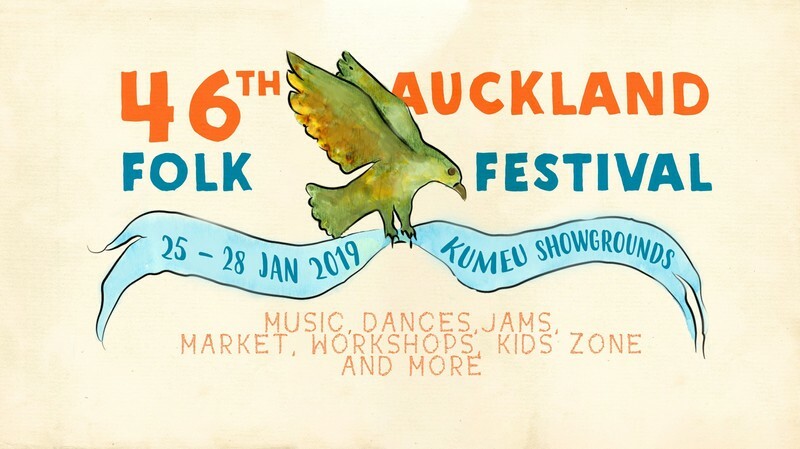 The Auckland Folk Festival presents folk music from around the world, including English, Irish, Scottish and American. The Festival will kick off with our first opening ceremony on the Friday evening at 7pm, and music will run til late on Sunday night! Stay tuned for more artist announcements and keep up to date on our Facebook page, Instagram or website. Camping is included in your ticket and you can camp anywhere on site! Please bring your own chair for concerts in our marquees! Early Bird Tickets close on December 31st 2018.